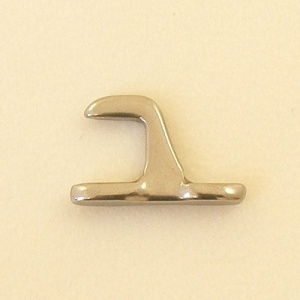 This is a slim, narrow shaped stainless steel hook stud. The base measures 21.6mm long x 3.6mm wide. The internal neck length is 8mm and the hook itself is just 2.4mm wide.